She decided studying abroad in Israel was something she wanted to do. She sent in her application and thought about who to ask for a letter of recommendation. She asked her professor who taught a class that she was doing exceptionally well in. She was denied the recommendation. Abigail Ingber is the student at the University of Michigan who asked professor John Cheney-Lippold for a letter of recommendation for the study abroad program. At first, Cheney-Lippold agreed. However, when he realized the program was in Israel, he refused to write the letter, citing an “academic boycott against Israel in support of Palestinians living in Palestine” in an email to Ingber, which was posted to The Michigan Daily. On college campuses across the country, students and faculty are seeing an uprise of anti-Semitic and anti-Israel incidents, events and movements. On Nov. 28, 2018, a professor at Columbia Teachers College arrived to her office to find swastikas and anti-Semitic slurs spray painted onto her office walls. Rabbi Michael Singer, the rabbi at Congregation Brith Sholom in Bethlehem, recalled professors at his own alma mater who were outwardly anti-Semitic. “At Rutgers, you see professors that have said really despicable things that are anti-Semitic and that makes their students feel uncomfortable going into their classes and who worry about if they’re going to be treated fairly,” Singer said. Lehigh, which has a Jewish population of between 650-750 students — or 12 to 15 percent of the student body — hasn’t seen any activity from the Boycott, Divestment, Sanctions (BDS) movement, which is an anti-Israel organization. However, there have been acts of anti-Semitism and hate speech on Lehigh’s campus. In September, a Lehigh student reported an anti-Semitic and racist message on a cubicle in EWFM Library. 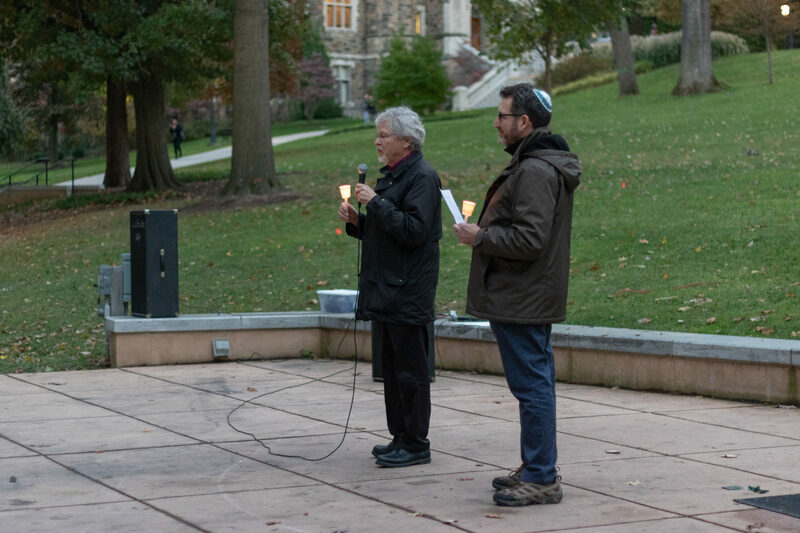 “Luckily, we haven’t had any issues with BDS so far, thank God, because a lot of my colleagues spend a lot of their time dealing with BDS on campus,” said Rabbi Steven Nathan, the director of Jewish Student Life at Lehigh. Lehigh’s Chaplain’s Office organizes a spring break trip for Lehigh students to Israel as part of a multi-faith initiative to educate students about the interaction between all three Abrahamic religions and ways people are attempting to make peace in Israel, according to Nathan. 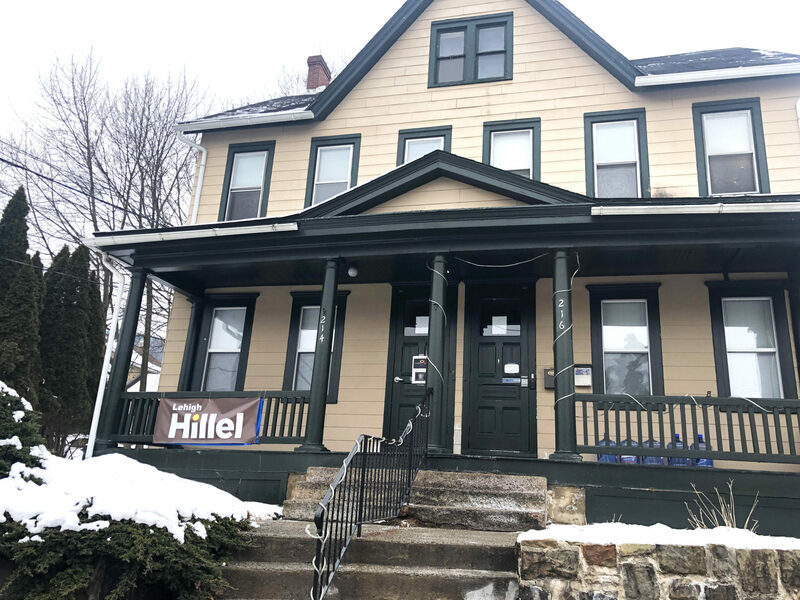 Muhlenberg College in Allentown has not seen anti-Israel or anti-Semitic incidents on its campus, said Jeri Zimmerman, the interim executive director of the Jewish Federation of the Lehigh Valley. Zimmerman said she believes that this is largely due to the campus’ Institute for Jewish-Christian Understanding. Though this is not the case for other colleges and universities, Zimmerman said she believes that awareness and education is where stopping the anti-Semitic rhetoric begins. Since 2015, there have been anti-Semitic incidents at 471 universities in the United States, according to the AMCHA Initiative, which is “a non-partisan organization whose sole mission is to document, investigate and combat anti-Semitism on U.S. college campuses,” according to its website. Even though there is only one documented case at Lehigh on the database, Nathan emphasized the importance of recognizing that an anti-Semitic incident could happen at any time. It’s really surprising that the B&W is doing an article on anti-semitism when a couple months ago they were celebrating the elections of Ilhan Omar and Rashida Tlaib who are clear anti-semites. Don’t worry it’s cool though because they support the intersectionality cause of the radical left….